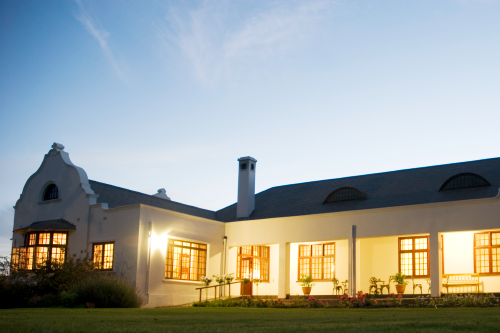 · Two nights stay for ten (five couples) at the Manor Guesthouse on the Excelsior Estate (between May and August only). The guesthouse has been lovingly restored and offers elegant comfort and personal hospitality. There are ten classically decorated en-suite bedroom with panoramic views of the vineyards and the Langeberg Mountain ranges. · Two nights stay for ten guests (five couples) at the well-appointed Jan Harmsgat Country House, where guests will be treated to understated elegance and comfort. 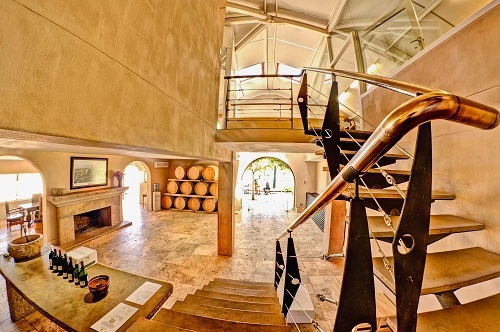 Included is a farm tour with wine tasting as well as a dinner party on one of the nights of your stay. Each couple will also be given a case of their favourite JHG varietal to take home. · Wine tasting and lunch at the wonderful Springfield Estate with the Bruwer family. 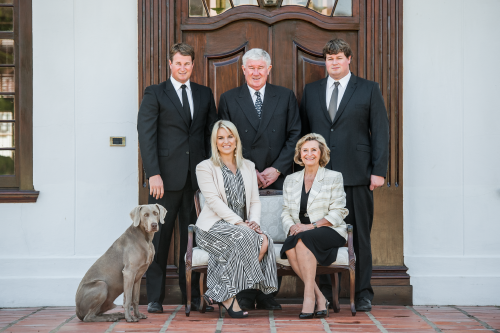 Set in the heart of the mountain-ringed Robertson Valley in the Western Cape of South Africa, Springfield Estate is a family-run wine farm owned by ninth-generation descendants of French Huguenots. 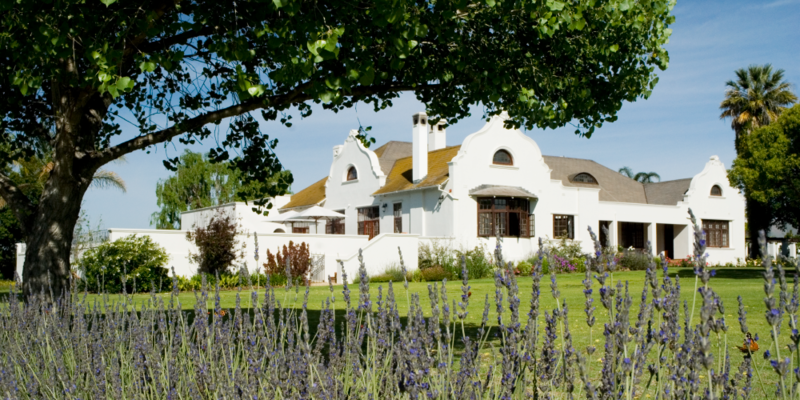 · Tasting and lunch at De Wetshof with the De Wet family. With its crisp white buildings, rose bushes and jacaranda trees, the estate has become a well-known landmark in the Robertson wine valley. · And finally … the winner of this lot will also get to take home a trio of De Wetshof’s flagship Bateleur Chardonnay in 1,5 litre, 3 litre and 5 litre bottles. Two night’s accommodation for 10 guests (five couples) at Excelsior Estate. A cellar tour and tasting at Excelsior Estate. Tasting and lunch at Springfield with the Bruwer family. Tasting and lunch at De Wetshof with the De Wet family. A trio of the De Wetshof flagship Bateleur Chardonnay in 1,5 litre, 3 litre and 5 litre. Two two-packs from Springfield containing a 1997 and a 2013 Methode Ancienne Cabernet each. A farm tour with wine tasting. A dinner party on one of the nights of your stay.